⬅ Who’s Your Number 2, 3, 4? Yesterday, we lost an American hero. Astronaut John Glenn passed away on December 8th, 2016. 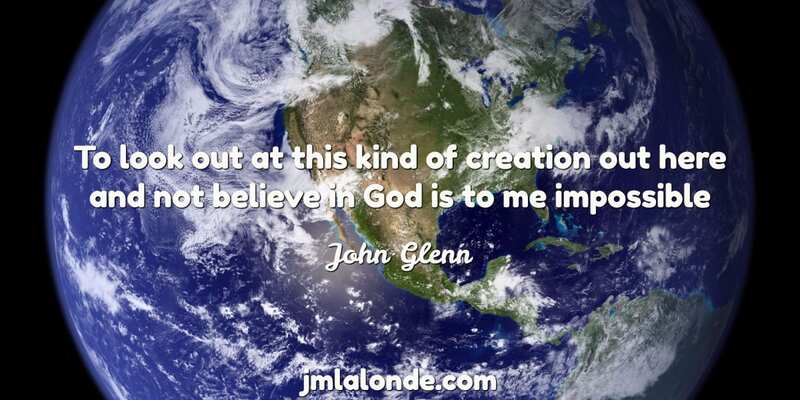 John Glenn was the first American to orbit the Earth and the fifth person in Space. After Scott Carpenter passed away, John Glenn was the last surviving member of the Mercury Seven. 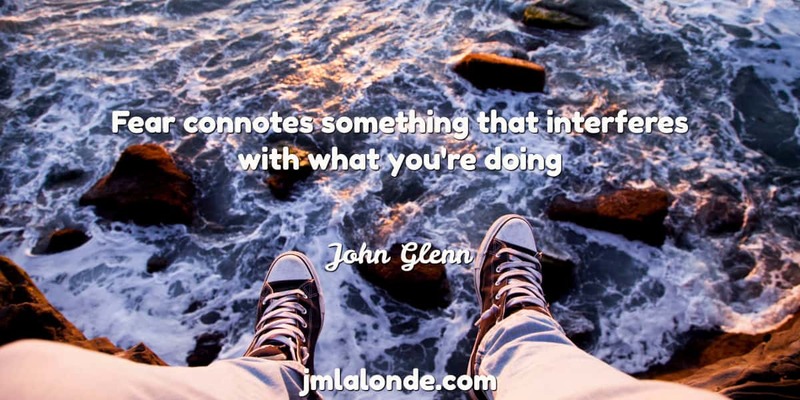 Not only did John Glenn go into outer space, he served and retired from the Marine Corps and ran a successful political career winning a seat in the U.S. Senate. Looking back on his life, we can find signs of leadership throughout it. When the Japenese attacked Pearl Harbor in 1942, John Glenn dropped out of college and enlisted in the U.S. Army Air Corps. He quit something important to join an organization he believed in. People will often think leaders never quit. That’s far from the truth. Like Glenn, leaders quit. And they can quit often if the course of action isn’t working. Glenn transferred from the U.S. Army Air Corps to the U.S. Marine Corps. From there, he transitioned to NASA (though he remained an officer in the Marine Crops). Finally, he transferred careers once again to become a politician. Watching Glenn’s life, you can see multiple transitions. The U.S. Army, the Marine Corps, politics. He kept moving. Leaders don’t stay in one position forever. They transition roles and move on. Whether that’s upwards in the organization or sideways to another organization, leaders transition. Is there a transition you need to make? Yes, John Glenn served in the military. He fought for the country. He served the country in politics. Yet his contributions went beyond serving. He also helped found John Glenn Institute for Public Service and Public Policy at The Ohio State University. Which later became the John Glenn College of Public Affairs in 2015. John knew he wanted to leave a lasting impact on the world. And he did that by creating an organization that outlived his life. 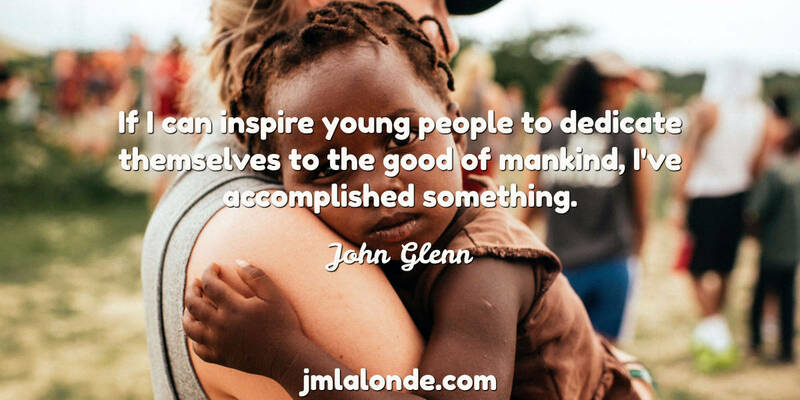 Leaders look to do good and contribute to the community around them. They give to wonderful organizations, they volunteer for causes they believe in, and they care for those they serve. 1. To look out at this kind of creation out here and not believe in God is to me impossible. 2. We are more fulfilled when we are involved in something bigger than ourselves. 3. If I can inspire young people to dedicate themselves to the good of mankind, I’ve accomplished something. 4. 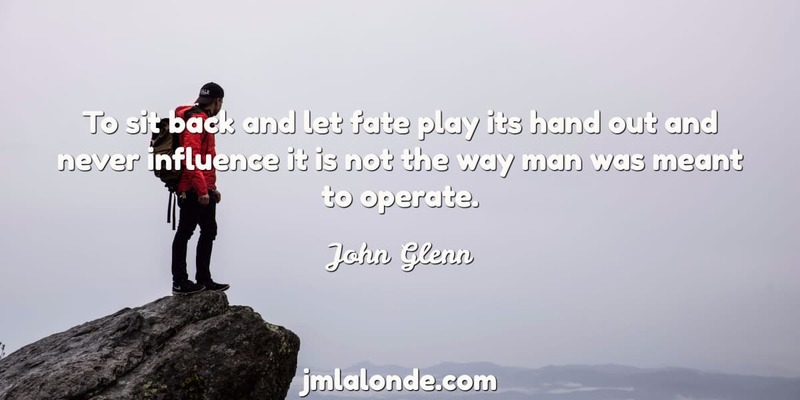 To sit back and let fate play its hand out and never influence it is not the way man was meant to operate. 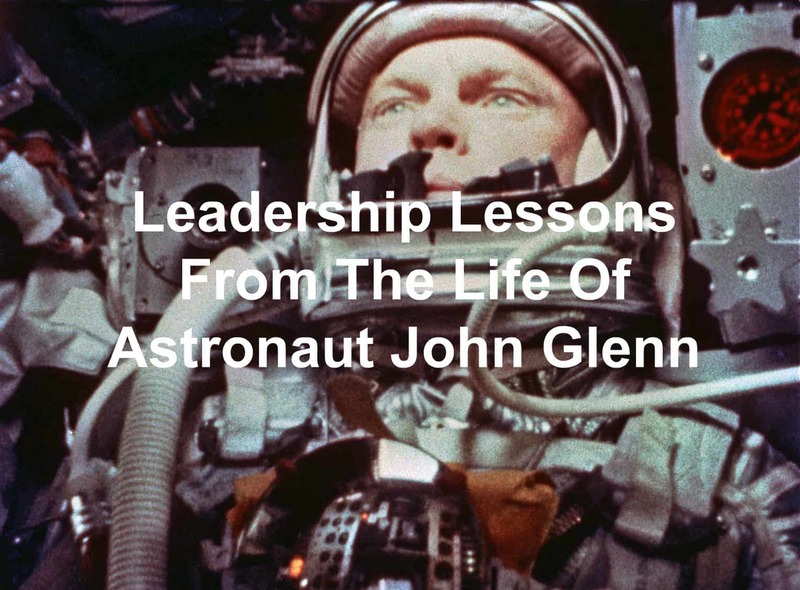 Question: What’s a leadership lesson or quote you’ve taken away from the life of John Glenn? Share yours in the comment section below.